China is a country with great diversity of religions, with over 100 million followers of various faiths. The main religions are Buddhism, Islam , Christianity, China's indigenous Taoism, along with Shamanism, Eastern Orthodox Christianity and the Naxi people's Dongba religion. The Hui, Uygur, Kazak, Kirgiz, Tatar, Ozbek, Tajik, Dongxiang, Salar, and Bonan people adhere to Islam; the Tibetan Buddhism, and the Dai, Blang and Deang to Theravada Buddhism. Quite a few Miao, Yao and Yi are Christians. 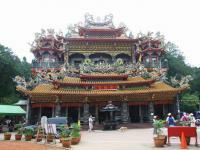 Religious Han Chinese tend to practice Buddhism, Christianity or Taoism. Buddhism was first introduced to China from India approximately in the first century A.D., becoming increasingly popular after the fourth century. Tibetan Buddhism, or Lamaism as it is sometimes called, is found primarily in Tibet and Inner Mongolia. 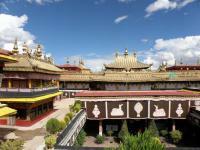 Now China has more than 13,000 Buddhist temples, with about 200,000 monks and nuns. Islam probably first reached China in the mid-seventh century. During the Tang (618-907) and Song (960-1279) dynasties, Arab and Persian merchants of the Islamic faith came overland through Central Asia to northwest China, bringing with them the Islamic faith. The Yuan dynasty (1279-1368) witnessed the zenith of prosperity of Islam. Now China has more than 30,000 mosques and more than 40,000 imams. Christianity reached China several times after the seventh century, and was introduced to the country on a large scale after the Opium War of 1840. Now there area bout four million Catholic believers, 4,000 clergy and more than 4.600 churches and meeting places in China. Protestantism was introduced to China in the early 19th century, and spread widely after the Opium War. Now China has a bout 10 million Protestant believers, 18,000 clergy and more than 12,000 churches and 25,000 other centers of worship. Taoism probably took form as a religion during the second century, originating from sorcery, pursuit of immortality and other supernatural beliefs in ancient China. Taoists take the philosopher Lao Zi (traditionally said to be born in 604 B.C.) as their teacher, and his work, the Dao De Jing (The Classic of the Way and Its Power), as their canon. China now has more than 1,500 Taoist temples and over 25,000 Taoist monks and nuns.